Look Back Look Forward: HfG Ulm and design education in India, a brief report on the one day event at the Taj West End in Bengaluru on 6th March 2010. The one day conference at Bengaluru will be remembered for a long time by the participants, all teachers and design professionals interested in design education coming from several leading design schools in India. So much passion was released in the 24 round table discussions, only a small fraction of which can be captured here in the links and resources that we have been able to collect and create. Two workshop sessions, each of two hours duration across the twelve round tables each with eight participants and some observers kept all of us deeply involved on the subject of design education for India. This meeting will have an impact on the shape of design education in India since tere is the promise of a follow up meeting later in the year and with the sharing of the Ulm Journal as a digital resource as part of the conference kit the schools in India have for the first time access to the rich reflections that the Ulm masters had assembled in the 21 issues that were published between 1955 and 1968 when the HfG Ulm was finally closed down. 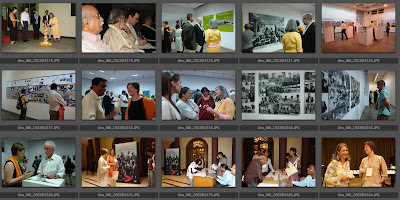 Image01: Thumbnail images of the HfG Ulm Exhibit at Chitra Kala Parishath and the registration session at Taj West End on the next day. Image02: Thumbnail images of the conference participants during breaks as well as at the round tables during the keynote sessions. We now invite all the participants to join us in our analysis of the event and the proceedings for which we shall make available and share below the links to all the lectures and presentations made during the day as well as a host of other resources that can aid the proposed analysis of the discussions and events of the day. The first set of links are for the eight voice files arranged in the order in which the events happened at the conference. The opening session had Dr Evelyn Hust of the Goethe Institute, Bengaluru make her opening remarks with Prof M P Ranjan making remarks on behalf of Director NID who could not attend and then on to introduce the format of the conference, keynotes and workshop sessions, as planned. The morning session that followed had three events – the first keynote lecture by Marcela Quijano, Curator, HfG Ulm Archive, and the second keynote by Prof Sudha Nadkarni, Dean, Welingkar Institute of Management where he shared his experience as a full time student at HfG Ulm in the early 60’s. (for voice recordings see the links below). Marcela Quijano gave us an overview of the pedagogy of the Ulm masters and the historical setting in which the design education experiments were conducted at the HfG Ulm. 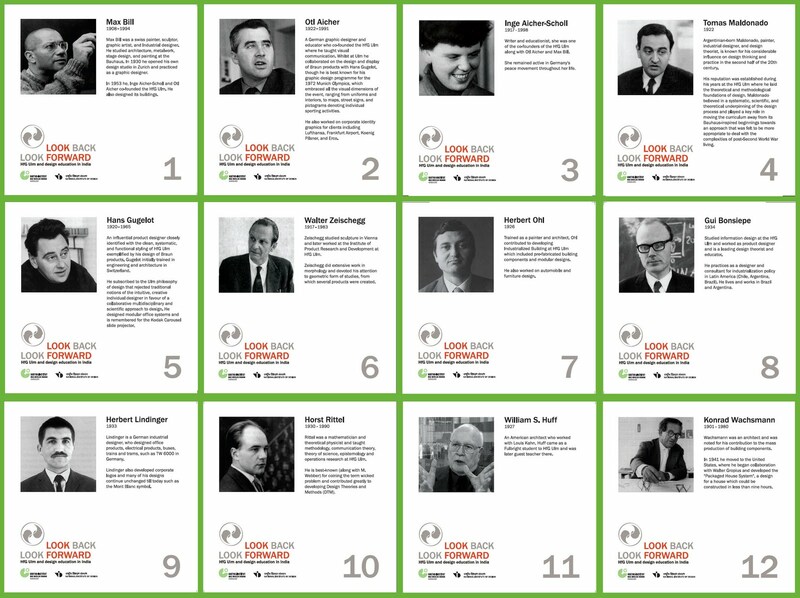 Image 03: Thumbnails of the Table Cards, each with one HfG Ulm Master as listed: 01: Max Bill, 02: Otl Aicher, 03: Inge Aicher-Scholl, 04: Tomas Maldonado, 05: Hans Gugelot, 06: Walter Zeischegg, 07: Herbert Ohl, 08: Gui Bonsiepe, 09: Herbert Lindinger, 10: Horst Rittel, 11: William S. Huff, 12: Konrad Wachsmann. Each table had a set of provocation cards that carried quotes from the Ulm masters while these cards were also shown on the large projection screen as an automated slide show. Each quotation raised one issue that would be critical for the Ulm pedagogy and these provided the point of departure for the table discussions that were carried on in real earnest by all the participants. Each table also had table think sheets on which the participants were asked to make their doodles and notes as the discussions and devbates progressed at each table. These “Table Think Sheets” were collected at the end of the session and these too are made available here at the link below. Image 04: Navigation screens from the Look Back Look Forward conference resource interactive DVD. These nine screens are from the root level pdf file and each item or image on the pages takes one to the respective file or page. The Index page is level zero, while the other pages are numbered from 1 to 8. 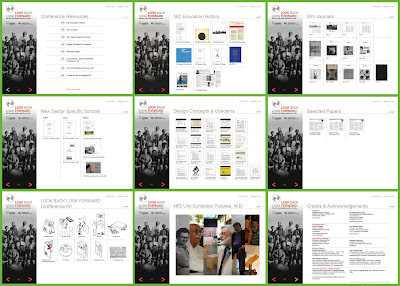 The conference resource DVD is packed with design education resources from HfG Ulm as well as from NID, Ahmedabad. Page two provides links to the numbered Journals from the HfG Ulm from 1 to 21 issue of the Journal, all scanned and made available as digital pdf files thanks to the kind permission from Prof Gui Bonsiepe who edited these volumes at Ulm. These Journals were published from 1955 till the last issue in 1968 when the school closed down under dramatic circumstances. These were available in India only in the NID library and for the first time these are made available to Indian design educators and researchers to understand the Ulm school’s unique pedagogy since these hold a rich resource of reflections from the Ulm teachers. Volume 3 was missing from the set all these years and we now have a copy thanks to the Ulm Archive Curator, Marcela Qujano, who gave us a copy for the Library which is now made available here as a digital pdf file at the link below, and this completes the set. Page zero, or the opening page, is the Index with hyper-links to the other eight pages. Page two contains links to selected documents from the NID history and includes the Eames India Report of 1958, The MOMA catalogue of 1957 of classic design from USA and Europe whose prototypes are in the NID archives, NID Documentation 1964-69, The Ahmedabad Declaration of 1979, Design & Environment (1982), select faculty papers (1991) and the Proceedings of the DETM Conference (2005) and so on. Page four contains 16 papers and presentation files that record the progress of the Design Concepts and Concerns Course at NID where design thinking and design theory have been introduced to NID students from 1988 till date, evolving over the years to give NID education its distinctive identity. Page three has reports prepared by NID for the setting up of three sector specific institutes for design education in India. Other pages contain all the artworks for the conference graphics and table resources as well as the photographs from the Ulm Archive exhibit when it opened at the NID Gallery. The visual slide shows or text resources for the keynote presentation are available for download here below and these can be viewed along with the voice files of the proceedings located above. Conference kit resources in pdf format. While the conference resource DVD that was distributed to all the participants contains the digital art works version of the table materials we provide separate links here for some of these resources so that they may be used directly if needed. Participants will now have access to all the resources that they may use to make their own analysis of the one day event at Bengaluru and from these we do hope that Indian design teachers will take back a lesson from the Ulm masters, that of documentation of their teaching resources and of their class outcomes in a contemporaneous manner in the days ahead. This alone will ensure that Indian design education retains a quality benchmark that can be shared and discussed as we refine our teaching methods and find value that is unique to our context, environment and culture. If teachers from our Indian design schools start publishing their work and through this an active dialogue is set in place we would have succeeded in our mission of sensitizing our teachers to the need for such documentation in managing and manintaining a high quality of education in our schools across India. I hope that we did succeed and that the future will show us the positive results of these tall intentions.